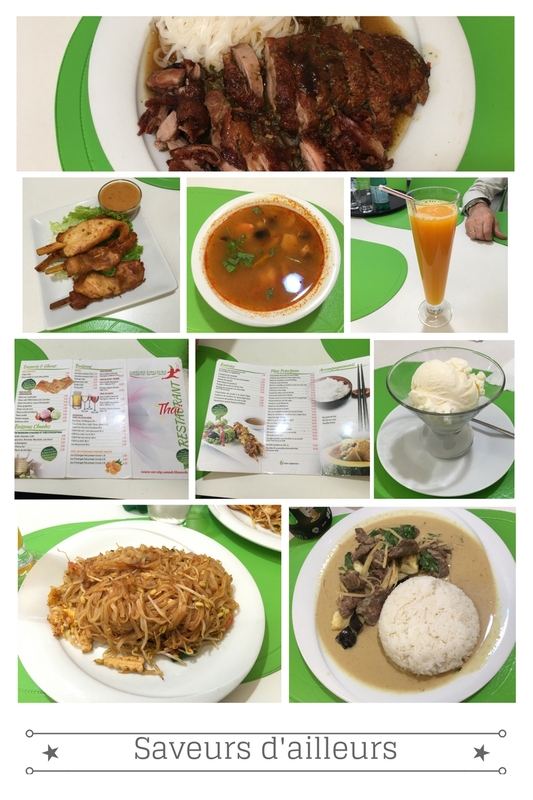 As I told you guys on my last blogpost, we went to eat Thai food with my parents-in-law last Thursday. This restaurant is mainly for take-away service because there are only 3 big tables. Honestly, if it's weren't for my husband booking this restaurant, we would never walk in and try it because it's really looks like a fast food, take away style place more than a restaurant. But my husband searched online and saw that they have really good reviews, hence we gave it a try. We booked at 6:15p.m, it was quite early for dinner. When we arrived, there were no customers except us. But later on all the tables were occupied and many people came to order take away dinners! We took a Tom Yum Soup and Chicken Satay for entrance and I took a Pad Thai with shrimps as I usually do when trying a new Thai restaurant. I just want to compare the same dish in different Thai restaurants. The food was surprisingly good, the taste of the Pad Thai was authentic, maybe a little too salty, otherwise it would have been perfect, but I know here people eat really salty, so they just cater to demand. Oh, one thing that I really like is their Thai style pancake, honestly it doesn't look like a pancake but it's really yummy!! I think we will order it sometimes to take away as the price is quite reasonable for Swiss standards. And mainly I don't need to cook! XD" I took some pictures with Tiki after dinner. This is in Ouchy, Lausanne, it's quite nice there and is right next to the lake. brings brought back memories from the boat trip I took with my mom and sister, we passed here but didn't have enough time to walk around because we were just transiting to take another boat. Anyway, I miss the moments when they were here in Switzerland with me! I have been reading so much about the Thai foods and it looks like that people are loving the food. Its another amazing review of another brilliant Thai restaurant. Thanks!